Latest News : Celebrate your Christmas with us! 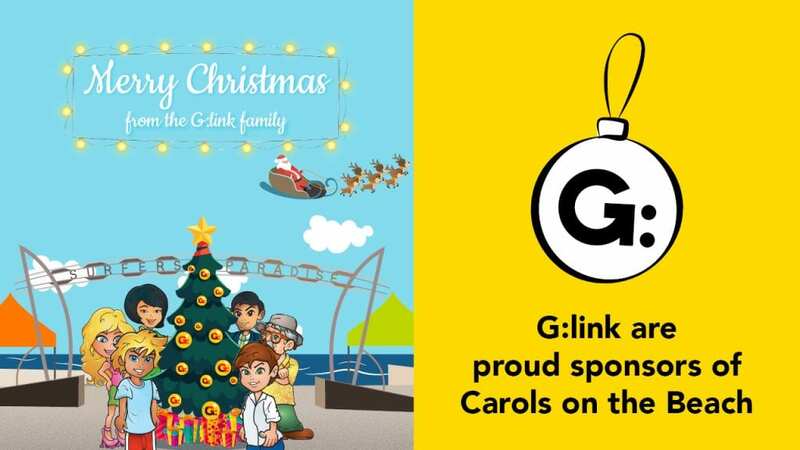 G:link is proud to support the local community and continue our sponsorship of the Carols on the Beach in Surfers Paradise to be held on Sunday 23 December 2018. The Carols are held at Surfers Paradise beach from 6:30pm to 8:00pm and will end in the annual fireworks display. Carols on the Beach is always a hugely popular event, so we will be offering increased services to get you to and from the event. Why not leave your car at home, grab a ticket and ride the G:. Our services will continue to run every 10 minutes until 10pm. If you’re travelling as a family, please remember that there may be crowds and to board and exit the tram as a group. If possible, sort your tickets before the event from fare machines on platform; “go card” or “go explore” are the easiest options. However, if using a paper ticket, you can buy a ticket for multiple people by selecting ‘Group.’ It is a single zone fare through Zone 5. For more information on ticketing, fares or to plan your journey, please visit TransLink or call 13 12 30 anytime. From our family here at G:link, to yours, have a Happy and Safe holiday period.